Wisconsin Music Man: Hey Police, come play in Milwaukee! Hey Police, come play in Milwaukee! July 7th is an open date for The Police. They are in Chicago for two nights prior to that, so why not just drive them up to Milwaukee for Summerfest. 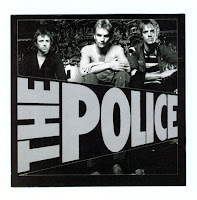 Ok, I realize that Wrigley Field is four times larger than The Marcus Amp., but The Police would be a great show for the Summerfest line up. Who wants to sit in the upper-upper deck at Wrigley just to watch a huge screen? I did that at Pink Floyd in Milwaukee years ago, and I left before the encore.